The O.J. Simpson trial made household names out of many people who had previously lived well out of the spotlight, but one name carried significant weight. 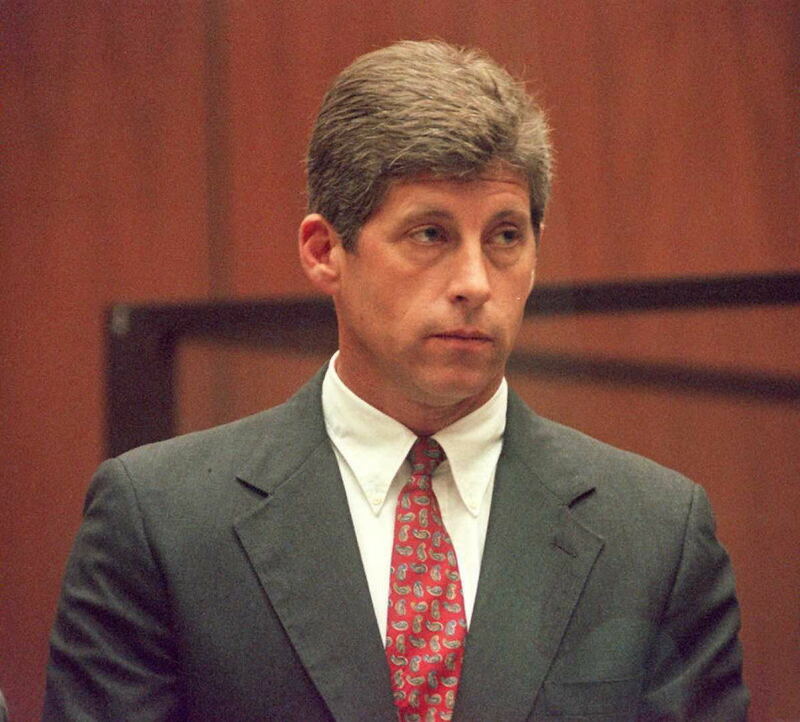 Former LAPD Detective Mark Fuhrman was accused of being racist and framing Simpson by Simpson's defense team, and he became an extremely controversial figure throughout the trial. In a 1997 interview with the Seattle Times, Fuhrman denied being racist or planting evidence in the case, calling the defense's claims that he planted the bloody glove "a ridiculous accusation." And while the new ESPN docuseries O.J. : Made in America delves into those claims, it also goes back more than 10 years to discuss another time that claims about racism were involved in his career. In 1983, Fuhrman made a claim for disability pension from the LAPD due to stress, as reported by the New York Times. The claim was denied, so Fuhrman made a Superior Court appeal, which is how it became public record, according to the Los Angeles Times, and was eventually brought up during the Simpson trial. "They found a flaw in me and then they made up a nexus, a connection to the flaw to the case. I mean, I had a bad couple years. But I came out better, I came out of it. It is what is." Fuhrman's appeal was denied and he continued working as a police officer, which the New York Times attributed to his appeal coming at a time when it had become common for police officers to fake psychological issues in order to receive their pensions. The newspaper reported that, "From 1980 to 1985, 175 police officers were granted stress disability, or 'psycho pensions,' leading the city to conclude that many were faking." The pension board denied Fuhrman's pension in a 6-0 vote, after "a standard psychological test indicated Mr. Fuhrman was faking," and that decision was upheld during his appeal. The record of that appeal was discovered by Jeffrey Toobin, author of The Run Of His Life, who brought the file to Simpson's then lead defense attorney, Robert Shapiro. Toobin told Frontline, "I thought this was interesting, and I took my news of the discovery of the lawsuit, and I basically snuck my way into Robert Shapiro's office ... I said, 'Wow, that's some lawsuit.' And he said: 'Huh, you think that's bad? This cop was such a racist, we think he planted the glove at O.J. 's house.'" Though Fuhrman denied both being a racist and planting the glove, those accusations shaped the defense's argument. So while this pension claim and appeal took place over a decade before the trial of the century, they became a key part of the defense strategy that would help Simpson be found not guilty of the murders of Brown Simpson and Goldman.